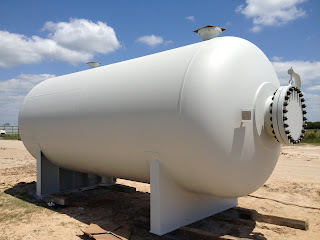 Pressure vessels are containers that are designed with the sole purpose of storing gases or liquids at pressures significantly different from the ambient pressure. One noteworthy thing here is that pressure differentials are generally very dangerous, with quite a few examples of fatal accidents having occurred as a result of the differentials. This is the reason for the design and manufacture of these vessels being regulated by laws pertaining to various parameters such as maximum safe operating temperature, safety factor etc. Pressure vessels have been used since many centuries, with the earliest reference probably dating back to 1495 A.D. However, the kind of pressure vessels used today owe their evolution to the industrial revolution in the 19th century when boilers were used to generate steam. As a result of the dangers involved, pressure vessel manufacturers today give a great deal of emphasis on ensuring optimal safety with zero chance of any untoward incidents while designing these vessels. This has resulted in vessel related accidents having become almost negligible in the 21st century. Fracture toughness – This simply means ability of the material to withstand conditions that can cause brittle fracture in it.